‘Amanda and Jon’ © Carlotta Cardana, Reproduced with kind permission. Back in October 2013, I was a selector for the Association of Photographers Open Awards, an annual competition and accompanying exhibition for professional and amateur photographers. 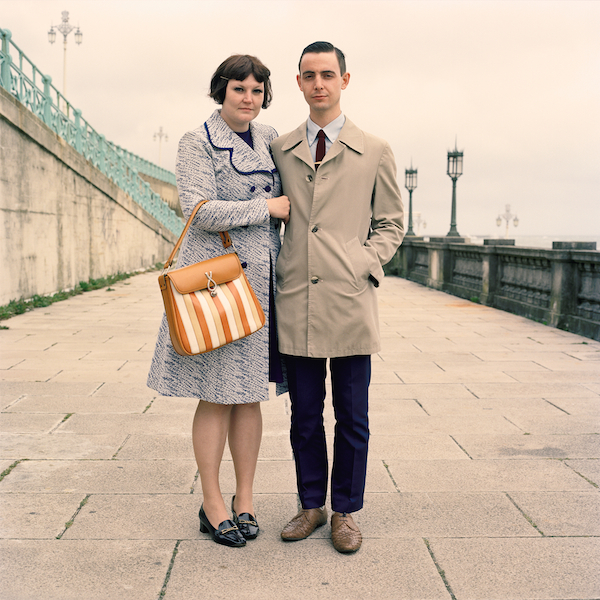 My fellow judges and I were unanimous in choosing Carlotta Cardana’s portrait of ‘Amanda and Jon’ from her documentary portrait series ‘Mod Couples’ for The Best AOP Student Award. Cardana’s series documents young couples who belong to the Mod scene, the sub-culture which first began in the late 1950s and reached its original peak in the mid-1960s. Cardana’s simple but bold compositions are immediately engaging, in part due to her sensitivity to the formal conventions of portraiture, and also her detailed attention to the personal style, fashions and environments carefully chosen by each couple. However the series as a whole also invites much quieter, more complex questions regarding the construction of identity; both individually, as a partner, and collectively as part of a sub-culture. Viewing these photographs one also questions the increasing role of nostalgia in contemporary society. I’m delighted to see Cardana go on to receive wider recognition for this series, most recently as a winner in The New York Photo Awards 2013 and as a shortlisted photographer in the 2014 Sony World Photography Awards. Further portraits from the series can be enjoyed on the photographer’s website. This entry was posted in News, Photography, Portraiture and tagged 1960s, Couples, Documentary, Mod, Photography, Portraiture.